Lucent Heart is an anime inspired MMO that combines astrology and dating together to create an in-depth match making system within the game which encourages you to build relationships with other players and find that special one. 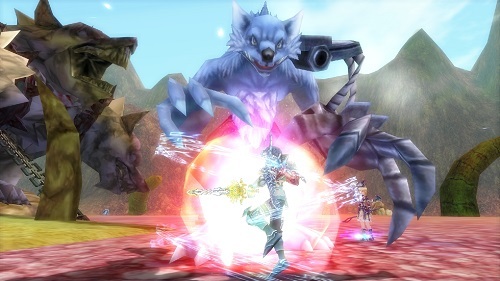 Combining this unique feature with the core MMO features of dungeons, monster slaying, professions, questing and PvP Lucent Heart offers it all. Starting your basic role as either a mage or warrior there is plenty of room for advancement into other roles as you progress to give you greater choice in your character development (eventually leading to a total of 8 end game classes). Each character branch has all sorts of flashy skills and abilities for you to pull out in battle against the many unique foes that you’ll encounter. This skill system also has a second level to it through the zodiac system which adds additional powers and even transformations to your character based on your star sign. 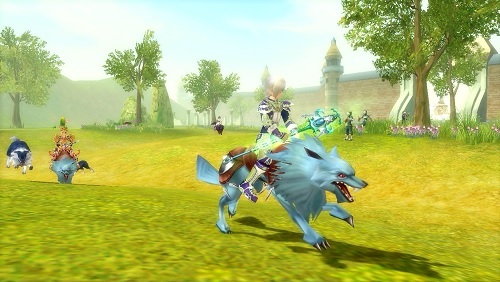 Other stand out offerings from Lucent Heart also include a very deep pet customisation system that allows you to raise a powerful ally and the crafting system with a number of professions for you to pursue on the side of the quest filled journey. You’ll even be able to enjoy some down time through the dance system where you’ll face off against other players. You’re interaction with other players in Lucent Heart isn’t just limited to fun dance offs though with great PvP opportunities available (including guild vs guild) and even PvE through the many instanced dungeons and raids. With the huge amount of quests on offer and the additional extras discussed above Lucent Heart is a good option if you just want something different in the MMO scene but still want good core features to fall back on when you’re done dancing or chasing your soul mate. Many unique elements including soul mate and zodiac system. Tonnes of quests to keep you busy. Player vs player, guild vs guild and party based instances available. Upbeat music and dance battles add something extra.